Upon entering the shop, you are struck by the décor. The dizzying black and white checkered floor, courtesy of Spanish interior design studio Pepe Carbrera, immediately begs the question: Where am I? The ceiling — a kaleidoscope of white stalactites — and the glass walls assembled from sake bottles add another touch of uniqueness to the space. 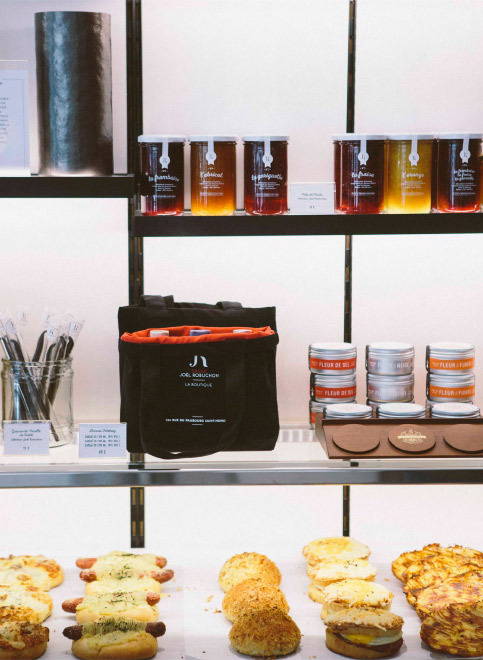 This relaxed modern setting is home to the DJR boutique, a one-of-a-kind store stocked with speciality foods, which also houses a bakery and pâtisserie. There is nothing ordinary about the space, and yet one feels completely at home here. Assortiments de produits de la boutique. 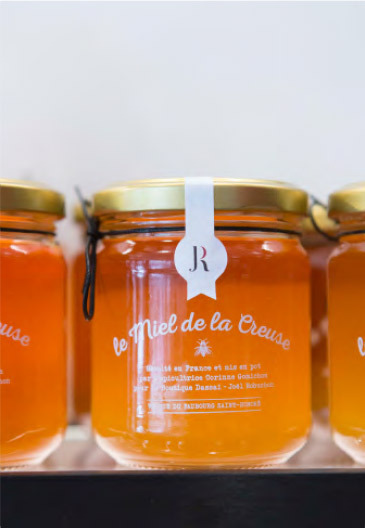 Carefully selected Tahitian vanilla pods, artisanal honey harvested once a year from the mountainous Creuse region, and a divine selection of jams and jellies will please those with a sweet tooth. A takeout menu featuring warm dishes, sushi and salads is also available in the sake bar. 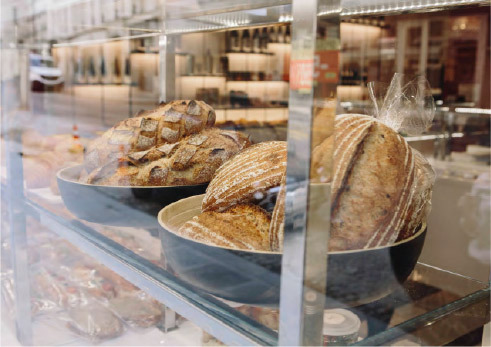 All bread and pastries are of course baked on premises. Drenched in sunlight from morn to eve, the store also boasts sweet prices. Come here for a taste of elsewhere, and feel right at home. 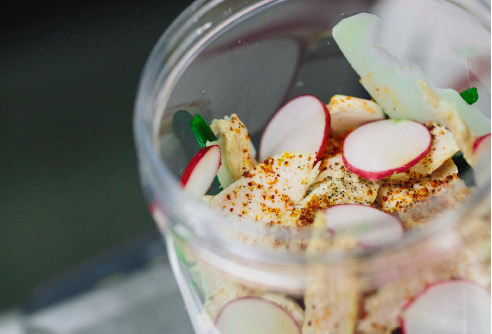 The food — made from simple, quality ingredients, and prepared on-site with the utmost care — is also comforting. This is where you come to take home a little piece of Japan: a tin of genmaicha, a box of Dassai-flavored macaroons or sake chocolates. Traditionalists will be pleased to know the classic Parisian baguette sandwich is also on offer here, and can be ordered to go with an ice cold bottle of sake. The neighborhood’s new Dassai aficionados have been gushing about the strawberry-sake tart — come and try it for yourself! Culinary classics like foie gras, smoked salmon, caviar, artisanal mustard and fleur de sel also grace the shelves of the boutique. Le Miel de la Creuse. A perfect loaf will have evenly distributed “alveoli” — the air bubbles that form the honeycomb texture you see when you slice a baguette in half.